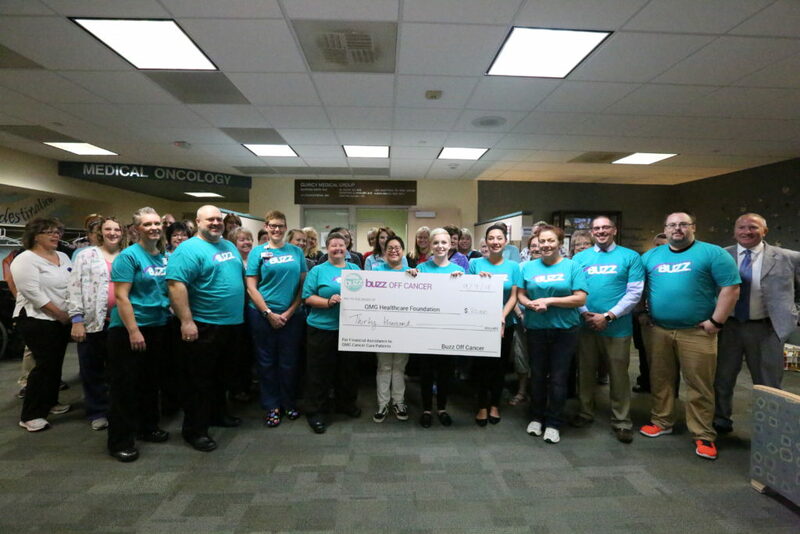 The Quincy Medical Group (QMG) Healthcare Foundation held the inaugural Buzz Off Cancer event this past June. The event featured 18 “buzzees” who shaved their heads in support of local cancer patients. In total, Buzz Off Cancer raised $30,000 which will directly support local patients. The mission of Buzz Off Cancer is to provide financial support to local cancer patients while bringing awareness to the emotional and physical impact of the disease. Each of the “buzzees” raised money over the weeks leading up to the event. Funds will be distributed to area patients through the QMG Healthcare Foundation. Racheal Raleigh and Jen Roberts, event organizers, said the purpose of Buzz Off Cancer goes beyond raising funds. “The event allowed community members to show their support, bring hope, and provide a meaningful experience for patients and their loved ones,” said Raleigh. For more information, visit www.buzzoffcancer.com or contact the Quincy Medical Group Buzz Off Cancer Team at buzzoffcancer@quincymedgroup.com or (217) 222-6550, ext. 6458.